The color and odor of a person’s urine are very important indicators of an individual’s health conditions and had once been used as a single most reliable method to diagnose multiple health conditions by doctors in the medieval times. Urine contains by-products of the metabolic processes present in the body and gives a lot of information on the patient’s diet, lifestyle and hereditary predisposition. Dark colored urine is not always an indication that there’s a health problem but might simply reflect how much liquids you are taking, which foods you are eating or what medications you might be prescribed. 1. The number one reason for you to have dark colored urine is not drinking enough liquids, therefore the urine is more concentrated both in color and in urine odor. 2. Certain foods can give you dark yellow urine like asparagus, while beets, on the other hand, might make your urine reddish in color. 3. Prescription and over the counter medications, even vitamins can alter the smell and color of your urine and make it appear darker. For example, vitamin B supplements might color your urine fluorescent yellow with a certain chemical odor to it. 4. If you are experiencing dark yellow and cloudy urine along with burning and painful sensation while you are urinating, it could be a sign of a urinary tract or a bladder infection. It’s important to see a doctor right away as untreated bladder infections might have serious complications. 5. 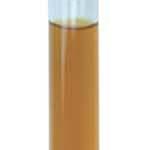 Serious kidney diseases and disorders can result in dark colored, foamy urine. You might also experience trouble urinating, ankle swelling and lower back pains as symptoms of kidney conditions. 6. Dark yellow urine could also be a clue for your doctor to consider the signs of hepatitis A, B diseases that cause liver inflammation, yellowing of the skin and eyes, loss of appetite and increased bile production. 7. Kidney stones are another common culprit for dark colored urine sometimes with traces of blood as calcified matters in stones can scratch the lining of the kidneys and even block the kidney’s passages. The underlying reasons for you to develop dark colored urine range from innocent to serious and should be brought up with your doctor to rule out a more severe health complication and give you a piece of mind.